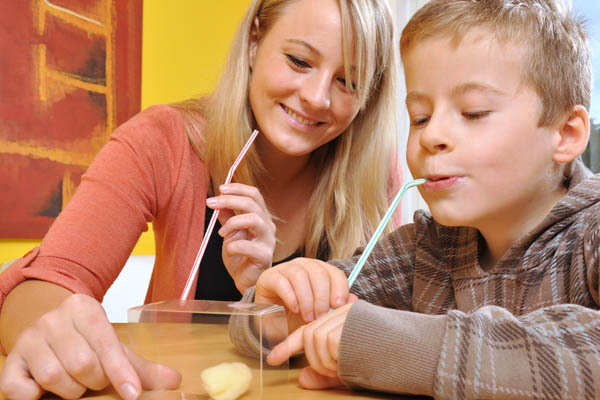 Speech-Language Pathologists diagnose and treat people who have communication, oral-motor, and feeding deficits. Communication deficits are primarily characterized by receptive and expressive language disorders and articulation/speech disorders. Receptive language disorders impact a child’s ability to comprehend auditory information. Expressive language disorders impact a child’s ability to formulate thoughts into words. Articulation deficits refer to the ability to produce sounds and words fluently and intelligibly. Oral-motor skills refer to the ability to use and coordinate lips, tongue, teeth, and jaw movements for speech and feeding purposes. 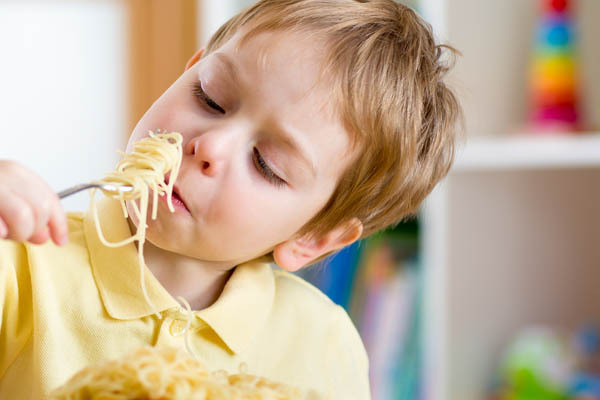 Feeding deficits include a person’s ability to chew and swallow food safely and effectively, as well as the ability to eat a wide variety of tastes and textures. Articulation disorders include difficulties producing sounds in syllables or saying words incorrectly to the point that other people can’t understand what’s being said. Fluency disorders include problems such as stuttering , the condition in which the flow of speech is interrupted by abnormal stoppages, repetitions (st-st-stuttering), or prolonging sounds and syllables (ssssstuttering). Resonance or voice disorders include problems with the pitch, volume, or quality of a child’s voice that distract listeners from what’s being said. These types of disorders may also cause pain or discomfort for the child when speaking. Answering “wh” questions (who, what ,when, where, why). Conversing with peers and adults – dialogue skills. Understanding concepts (ex, in/out, open/close, more/less). Sucking from bottles or drinking from cups. Producing specific sounds (ex, r, s). Speaking in a way that people can understand the words.